Whether a person has a few extra pounds to drop or whether considering a long-term project to peel off multiple layers, there are some relatively easy steps that can help. And if you’re a member of that new, trendy demographic known as “skinny fat,” these can show results in a matter of days. It’s helpful to remember what purpose fat serves in the body. Of course it’s an accessible source of energy in times when the body needs it. Importantly to modern man, though, is that fat is a place the body likes to store toxins that are damaging to the body or otherwise vexing. When the body encounters anything that enters it through the food path, it does its best to analyze the substance against a frame of reference developed by thousands of years of evolution. The body knows what to do with a green bean, an apple, oats or nuts; it’s had thousands of years to design a method of metabolizing those. But toss a Dorito with artificial coloring, synthetic flavoring or even something called “high fructose corn syrup,” and you’re asking the body to digest something that evolution has not prepared it for: an unnatural chemical only a few decades in existence. When faced with a potentially dangerous substance that it cannot break down or eliminate in other ways, the body wants to keep that outlier as far away from important organs and muscles as possible. You don’t want some sleeper poison lurking in the heart or lungs or nerves. So the body, in its infinite wisdom, parks those toxins in the hinterlands of the body, tucked away in fat cells. 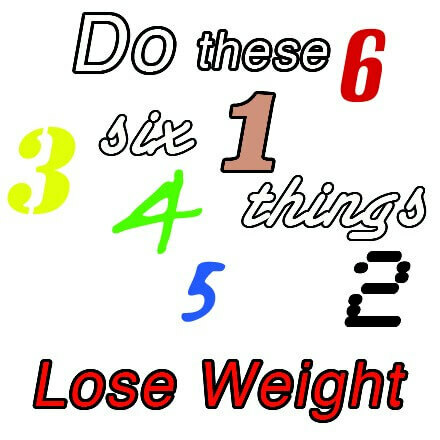 So, do these Six. Diet Drop. It’s like a mic drop only you won’t break anything. First thing to bag is the booze. Alcohol has more calories than anything else you put in your mouth except pure fat. More importantly, it taxes the liver and delivers toxins that need fat for storage. More toxins equal more fat. When you ban the brew, vacate the vodka and veto the vino, you’ll notice results within days. Then, beat the meat habit. You don’t need it if you eat otherwise healthfully. Skip the sugar. Just do it. And finally, dump the dairy. Wipe those things out of the diet and you’ve removed some of the least nutritious, most caloric foods from the diet. In moderate amounts, meat and dairy (fermented and aged) can be reintroduced later. Yeah, and hold your cards and letters: meat and dairy have some trace nutrition. But they are way out of balance in the calorie/nutrient ratio. In fact, modern milk ruins most of the nutrients by pasteurization and homogenization. I wouldn’t touch it, myself. Dump Diet Soda and “Lite” Foods. Hey, check it out in the check out line: Is it coincidence that people buying “diet” soda look heavier? Chemicals like artificial sweeteners are completely foreign to the human body. They haven’t been around long enough for evolution to teach our body what to do with them. The result is that the body has to shunt them off somewhere and that somewhere is into fat cells. The more chemicals the more fat is needed to store them, plain and simple. And “Lite” foods end up being anything but when you count the artificial stuff in them. Often cane sugar is replaced with chemicals and they are enhanced with other dubious additives to replace the fat. De-stress. We all know stress kills. But before it kills, it makes us fat. Think about how Homo sapiens works. The body is designed to do things to help us survive. A caveman, when stressed by a life-threatening event — like being chased by a predator or days without food — will store calories in the way of fat. Modern man feels stress, too. But running late to an appointment or working on a late-night term paper are not life threatening. Still, a hormone, cortisol, is released during those times, telling the body to store fat. Good idea if you’re a caveman running through the jungle. Bad idea if your stress consists of sitting at a red light. So to de-stress, learn a real, honest-to-goodness technique to lower stress. The best is a legitimate form of meditation. De-stress, weigh less. De-drug. Hate to break the news but 70 percent of Americans are on one or more prescription drugs. Guess what? A common side effect of pharmaceutical drugs is major disruption of bodily functions and can result in weight gain. Uh-huh. You may have noticed. So, get with the drug dealer, er, doctor, who got you on the drugs and get off them with guidance. They owe you that much. Detox. There are some simple, non-radical ways to help the body with the task of eliminating toxins. Whatever method one selects, it shouldn’t put unnecessary burden on the body. This means choosing a detox program that doesn’t involve crazy diets, ridiculous supplement concoctions or other outlandish means. Remember, the imbalance in the body was caused by introducing unnatural substances in the first place. You can’t solve a problem by using the same techniques that caused it. Check out www.HeartlandHealing.com/detox to learn about one type. Meanwhile, keep it simple, doable and real. Playing Music Instead of Playing the GameMardi Gras is Upon Us!